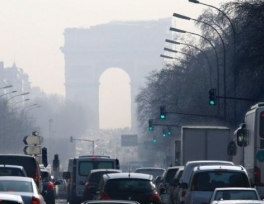 Unusually high pollution levels have prompted the French government to impose vehicle bans in the capital, Paris, and its suburbs. Thousands of cars have been banned from roads across the capital and 22 surrounding areas on Monday, as alternate driving days have been enforced in a bid to reduce the health-threatening smog. Under the measure, some 700 police officers at 60 checkpoints around the capital will ensure that only cars with license plates numbers ending in odd numbers are out on the streets on Monday. The government will review the pollution levels, before deciding whether to extend the restrictions for a longer period. If prolonged, only vehicles with even-numbered plates will be allowed on the Parisian streets on Tuesday. 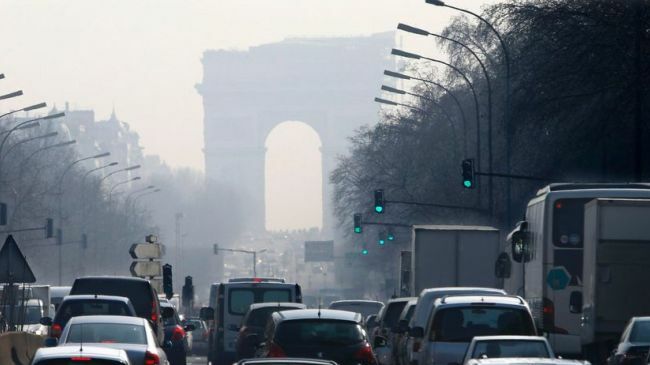 This is the first such ban in two decades and the government took the decision after air pollution in the French capital exceeded safe levels for five days in a row. On March 14, pollution particulates in the air hit a high of 180 micrograms per cubic meter in the capital, which is far above the safe limit set at 80 micrograms per cubic meter. The smoggy conditions in the French capital have been caused by a lack of wind in the region, combined with cold nights followed by warm days, which have prevented pollution from dispersing. The pollution particulates are a health risk as they can cause asthma attacks as well as respiratory and heart problems. The World Health Organization has warned that finer particulates, also known as PM2.5, can cause cancer.